So let me introduce to you, my very favorite Pencil. 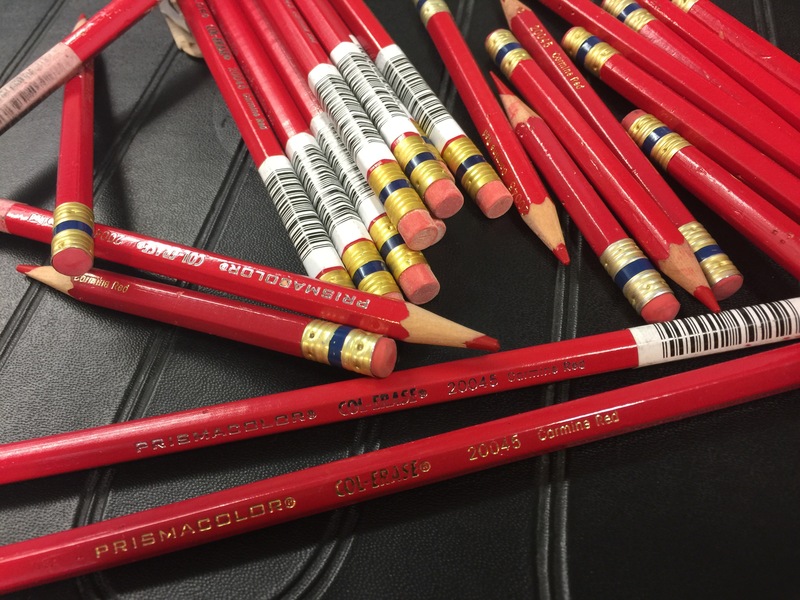 This is the Sanford Prismacolor Col-Erase Carmine Red 20045 Pencil. A bit hard to come by in Europe however very readily available in America. A box runs about 10$ for and you get 12 pencils inside. No you may ask, and I would imagine 90 percent of you are asking “what makes this Pencil so special?” Well I will do my best to keep it brief. I am by trade we will say a visual artist. Not the term I want to use but it helps to set the stage. I like a pencil that you can sketch shade and render with. A do it all without compromise. This shade of carmine red is dark and consistent. I have tried all erasable red pencil leds I can find. Although most importantly I like to be able to ink over it and scan it. In Photoshop or other programs, I can drop the red out and leave only the black ink lines. Or even erase my pencil sketch. In my profession black lines matter. My other favorite pencil is the Faber Castell TK-9400, I love mechanical pencils that can use a proper lead size. In these photos you can see my vintage TK-9400 with the lead from the Col-Erase. Almost a perfect fit. I carefully split the pencil with an razor knife and easily inserted it in to the lead holder. This my very special pencil.